SHOW THE WORLD YOUR BEST. 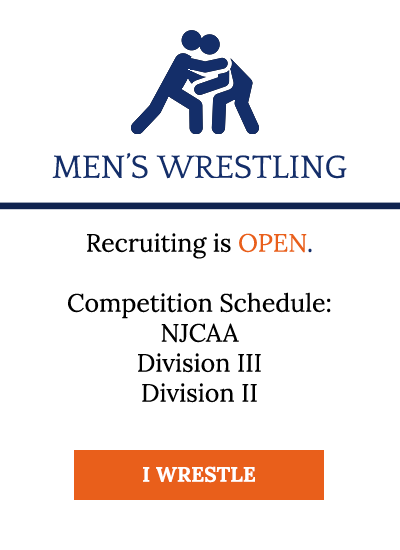 We’ll give you the opportunity to shine through NJCAA, NCWA, Division II, and Division III athletics competition. We’ll help you find the drive to rise above and become more than just a winner on the court: our athletes are winners in the community through volunteering opportunities that are integrated with the program. We’ll help you discover how serving others serves God and brings you closer to Him. We’re Thoroughbred proud – inside and out. Mike is one of the lucky ones. He is a lifelong sports fan who has had the privilege of turning his passion into his vocation. He caught the sportscasting bug while a student at Toccoa Falls College, going on to be a part of the radio broadcast teams for NC State, Duke, Southern Miss, and others. 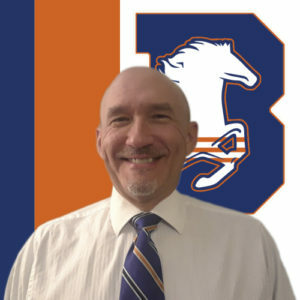 He was the Sports Director for the North Carolina News Network before serving as the SID at Mid-Atlantic Christian University. 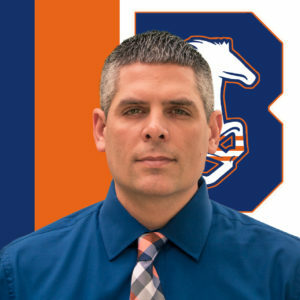 And with experience as communication instructor for five years at Harrison College, Mike puts the emphasis on the first word in “student-athlete.” He is thrilled to be a part of the team at Blue Lights College and guiding the Thoroughbreds to victory in the gym, in the classroom, and in life. Mario is a class act with top-shelf coaching skills and a heart for people. He is a natural fit here at Blue Lights. 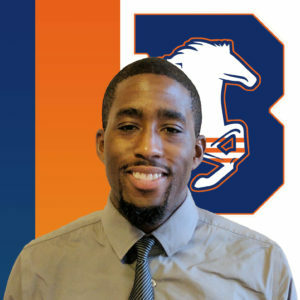 Pharr has extensive experience with over 15 years coaching on all levels, from AAU to professional, as well as two years under legendary NC State coach Kay Yow. Blake was raised as a military brat in the U.S. Air Force (Washington, New Mexico, Missouri). Blake spent 2015-2017 as an assistant coach at Wake Forest High School. He helped lead the Cougars to their first top 20 finish in recent years. He has over 24 years in wrestling experience in Folkstyle, Freestyle, and Greco-Roman. 2005-2009 he wrestled at the University of Great Falls in Montana where he was a 2x National Qualifier. In high school he was a 4x state Qualifier, 3x placer, and State Finalist. Blake was a member of the Missouri National team as well as 2x Freestyle and Greco Roman State Champion. 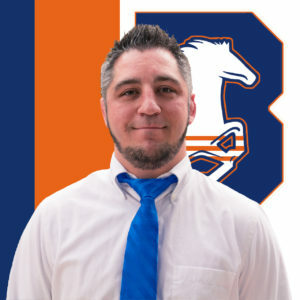 His leadership and passion for the sport of wrestling will help mold the future scholar athletes at Blue Lights College. Josh Grier is a native of Binghamton, New York. H served in the United States Marin Corps for four years. He is a 14 year police veteran and currently serves as a Corporal with the Apex, North Carolina Police Department. Josh brings a wealth of skills and experience to the program. He is a Police Instructor certified by North Carolina Education, Training & Standards for law enforcement. He teaches Firearms and Less Lethal training to police professionals. Josh will lead the first year pistol team for the Thoroughbreds. 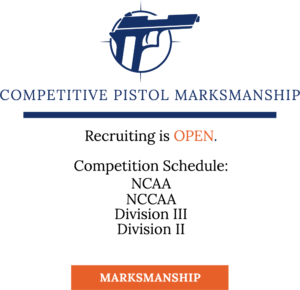 Blue Lights College is currently the only collegiate pistol competition team in North Carolina. Before tryouts, you’ll need to fill out our Sports Medicine Form. If you attended tryouts and got picked, you need to review this stuff here. 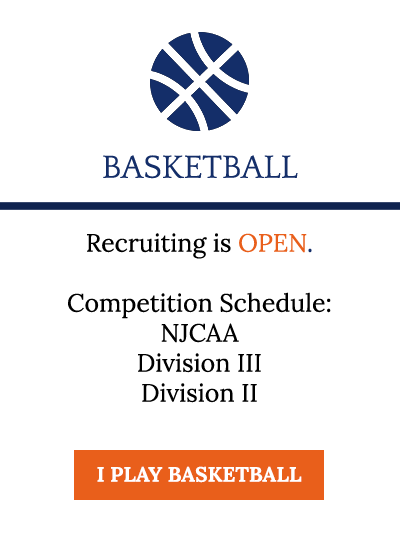 Recruiting is currently OPEN for Junior College and Division III Men’s and Women’s Basketball, Women’s Volleyball, and Men’s Wrestling. If you’re interested in trying out, please fill out an application here. We’ll help you direct your drive to excel in your sport through focused strength training, conditioning, speed and agility training, flexibility and nutritional guidance with help from trainers at Fit for Life 24. You’ll learn to work with your peers as a team. And together, you’ll succeed. We don’t care where you stay, but we care that you’re here supporting your athlete. Here’s some options of where to rest your head after the big game.